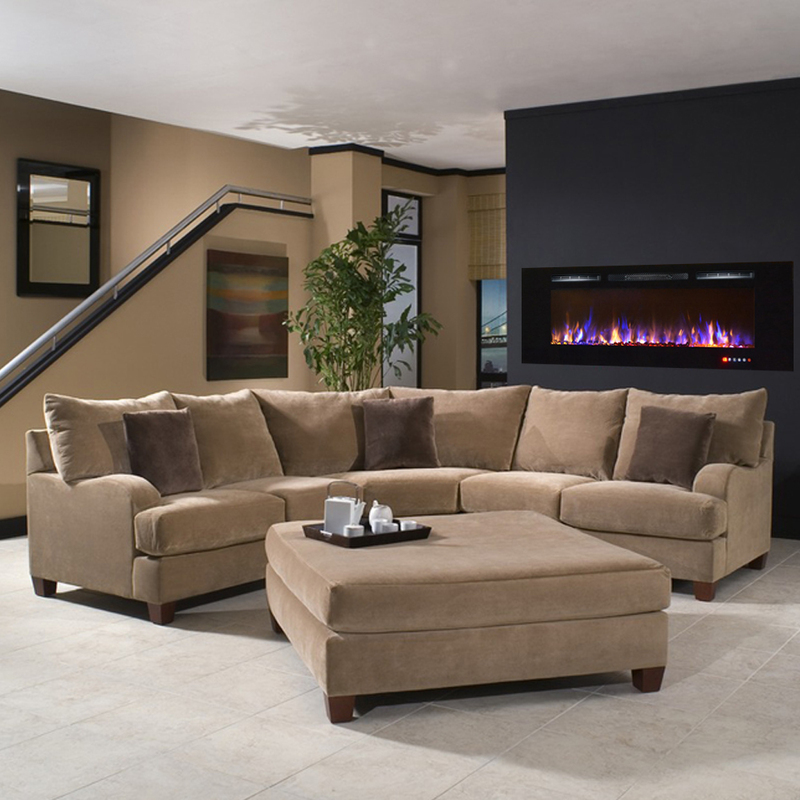 Timer offers automatic shut off of 30 minutes to 7.5 hours. 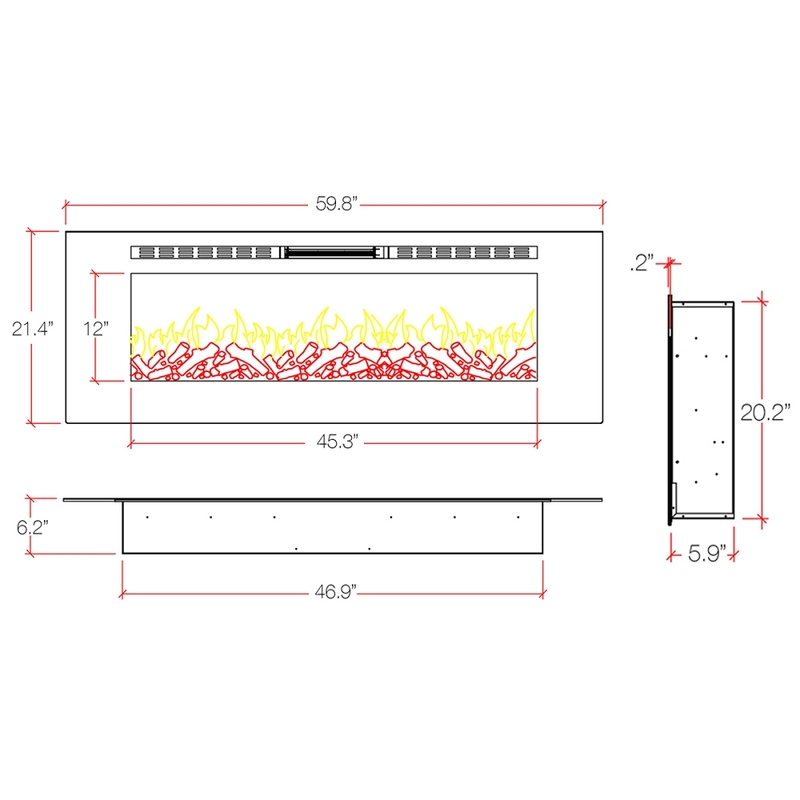 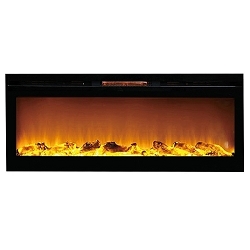 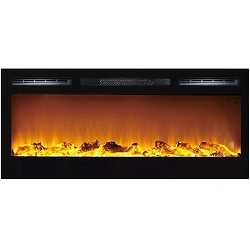 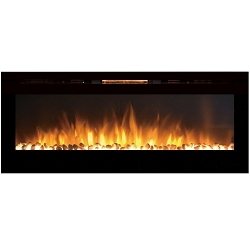 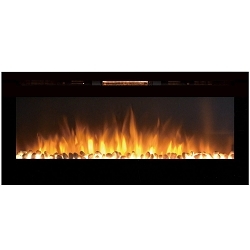 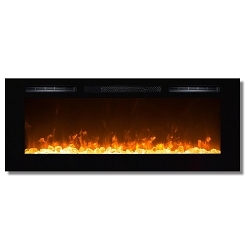 This indoor built in electric fireplace insert is completely vent free. 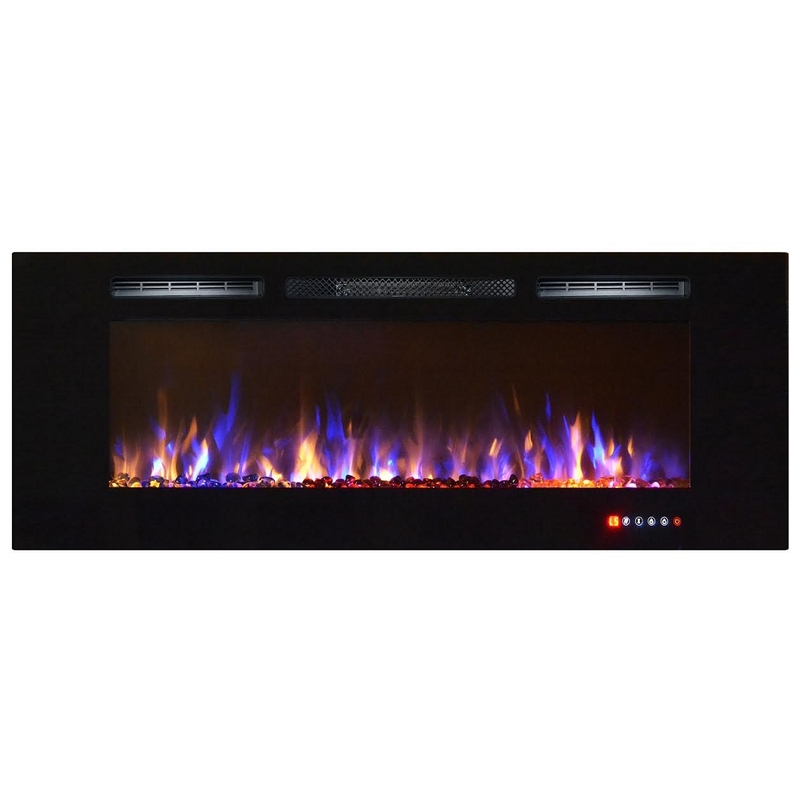 If you want to add a dynamic and vivacious vibe to a room, the built-in multi-colored crystal Bombay fireplace will do just that. 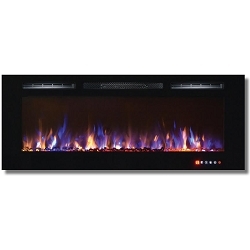 Its perfect length and proportion, as well as its sleek design, makes it the showpiece of any room it is placed in. 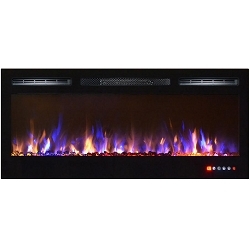 The multi-color super vibrant flame coupled with its innovative crystals, makes the Bombay the most revolutionized fireplace on the market.